By now, everyone has noticed the billboards, the television commercial, the social media ads – all boasting the same bold white text: “Today at Salem College.” But this new line of advertisements is not the only change to occur relating to Salem College’s advertisements. “We’ve been charged to reinvigorate what we’ve been doing…[give] it a nice refresh,” says Audrey Gauss, newly appointed Director of Admissions. Another change to the admissions process is the concentration of campus events. What previously consisted of four events in the fall – including Fall Visit and Legacy Day – has now been consolidated into one Fall Open House, which occurred on Oct. 27. “Students and their families had the freedom to choose what they want…this is what college is,” Gauss said in reference to the change in fall events. Though Scholarship Weekend and Applicant Overnight will still occur in the spring, scholarship interviews will be conducted via Skype and not during the weekend in February. “Not everyone can come for a weekend…[we’re] finding creative ways to expand the number of students to connect with,” Gauss said. To Gauss, the consolidation will help ensure events and experiences are warm and welcoming. Indeed, evidence of the emphasis on experience fills the new pamphlet and catalogue of the marketing rebrand. “We’re all in it together, so we need to make sure what we [admissions] are doing is good for everyone.” Gauss said. Throughout the booklet, the accomplishments and achievements of alumna and current students alike are continuously showcased. 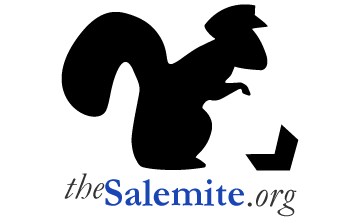 Gauss and the admissions staff hope this rebrand and other changes will highlight the beauty of Salem.